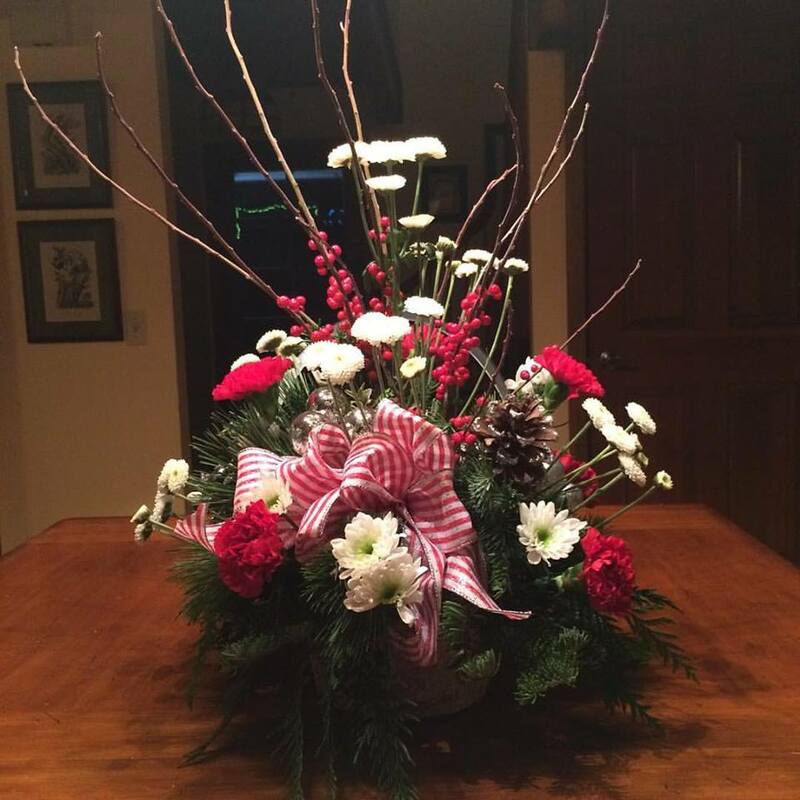 We haven’t had the time to go get a Christmas tree yet, but we ordered a festive bouquet from Foothill Flowers that put us in the holiday spirit. I enjoyed catching up with Todd Johnson when he brought the bouquet to the house. (Mrs. Johnson was riding “shotgun” in the car). Foothill celebrated its 50th anniversary this year, and it exemplifies the best of our small businesses. What a philistine! Those “1980s botanicals” are antique pen sketches of birds by a French artist. And to think these trolls are sophisticated enough to dine out at our region’s finest restaurants! lol.